Help us invest in the women and girls of New Hampshire. Donate today! 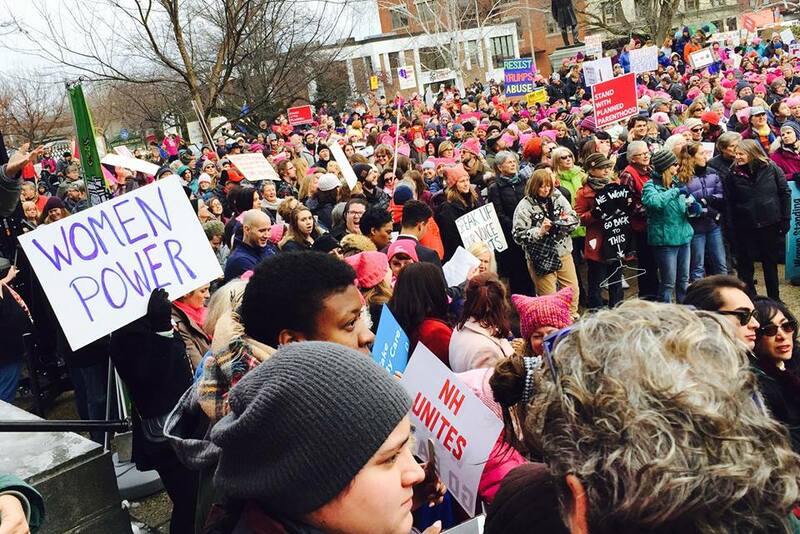 The Women’s Foundation actively monitors legislation that impacts women and girls in New Hampshire. Below are some of the NH House and/or Senate bills we are keeping an eye on. These are companion bills that would establish a Family and Medical Leave Insurance Program for New Hampshire workers. Currently women in New Hampshire bear a disproportionate share of family caregiving responsibilities and are less likely to have employment benefits that include paid leave to take time off due to illness, to care for a newborn, or to assist with a sick child or aging parent. A family and medical leave insurance program is a smart investment in our workforce and our economy. For more information contact . SB 279 would provide insurance coverage for fertility care to optimize safe pregnancies and healthy infants. Fertility services, such as In-Vitro Fertilization (IVF) and fertility preservation are NOT currently included in most insurance plans in New Hampshire. We believe that women and families should have access to the full range of health services – reproductive care, fertility care and maternity care – on the path to parenthood. This legislation would require feminine hygiene products to be provided in girls’ restrooms in middle and high schools in New Hampshire. The considerable issue of period poverty impacts the health and hygiene of teenage girls whose families struggle with the cost of sanitary products and can result in missed school days each month. This legislation would allow a new category of expense for candidates for elected office by permitting campaign funds raised to be used for child care expenses incurred for campaign-related activity. This change would impact favorably candidates with young children and help support opportunities for women and greater diversity in civic involvement by recognizing child care as a legitimate campaign expense. The newly-enacted updates to New Hampshire’s contraceptive equity law ensure women can access prescription birth control without any cost-sharing (such as co-pays and deductibles) and guarantee insurance coverage for 12-month prescriptions. Read our testimony in support of this bill – February 20, 2018. Read our testimony in support of this bill – April 11. 2018. New Hampshire’s Law Against Discrimination now prohibits discrimination against transgender people in housing, employment, and public accommodations. Read our testimony in support of this bill. Legislation to establish a paid family and medical leave program for New Hampshire workers died on the Senate floor. We continue to believe that paid family and medical leave is a lifeline for women, children, and families and will continue to work to see it passed. Read our testimony in support of this bill – January 18, 2018. Read our testimony in support of this bill – April 5, 2018. HB1287, to which we were opposed, did not pass. Instead, a package of three bills addressing New Hampshire’s child marriage laws was passed. Under the previous marriage laws, girls as young as 13 and boys as young as 14 could get married with permission from their parents and a court order. The newly-enacted laws set a minimum age of 16 for all people seeking to marry, regardless of gender and with no exceptions. In addition, 16- and 17-year-olds will have to convince a judge that marriage is in their “best interest” before obtaining the necessary court order – a meaningful judicial process that puts kids first. Read our testimony in opposition to this bill. Learn more in our Gender Matters NH Marriage issue.